Professor Thomas Faunce is an expert in health law and nanotechnology regulation, as well as the impact on those areas of trade and investment agreements; areas where he has been awarded five Australian Research Council (ARC) Discovery grants. Thomas was awarded an ARC Future Fellowship to investigate how nanotechnology could help solve the great public health and environmental problems of our time. This has led him to research governance issues surrounding the globalisation of artificial photosynthesis to make every road, house and vehicle on the earth’s surface make renewable fuel and fertilizer. This is achieved by using sunlight to split water into hydrogen and oxygen while absorbing atmospheric nitrogen and carbon dioxide. His research here is focused on developing a Global Project on Artificial Photosynthesis to help promote environmental sustainability. Thomas has coordinated major international conferences on these themes. His recent research outputs have been more specifically creative: a music CD (Sustainocene - Beautiful World from Global Artificial Photosynthesis album with Mark Walmsley and assistance from John Mackey ANU School of Music) and a science fiction novel (Split By Sun The Tragic History of the Sustainocene World Scientific Publishing 2018 -illustrated by Harriet Birks). Professor Faunce holds a joint position in the ANU College of Law and the ANU Medical School (where he chairs the Professionalism and Leadership Theme). He sits on the ANU central Research Ethics Committee and on the ACT Civil and Administrative Appeals Tribunal for health professional matters. He edits the medical Law Reporter for the Journal of Law and Medicine. He has been a consultant tio UNESCO on its Global Health Law Database. Since 2017 Professor Faunce has been a Class A (non-alcoholic) Trustee on the Board of Alcoholics Anonymous Australia. He is a Senior Fellow in the Higher Education Academy. He sits of the Council of Burgmann College. Professor jointly in ANU College of Law (Bioethics, Health Law and Human Rights) and ANU College of Medicine, Biology and the Environment (Chair, Professionalism and Leadership, Medical School). Faunce TA, Gregor Urbas and Lesley Skillen. “Implementing US-style anti-fraud laws in the Australian pharmaceutical and health care industries.”Med J Aust2011; 194 (9): 474-478. As climate change forces the world to find alternatives to fossil fuels, Prof Tom Faunce is taking a leaf from nature to address the energy challenge. Congratulations to Associate Professor James Stellios, Associate Professor Alex Bruce, Professor Tom Faunce, Professor Don Rothwell and Dr Hitoshi Nasu for receiving Australian Research Council Grants for 2014. Join us for debut of an album of songs about people living in a Sustainocene world powered by global artificial photosynthesis (roads and buildings making clean fuel, food and fertiliser from sunlight water and air) by Mark Walmsley and Tom Faunce. This workshop builds upon unique Australian interdisciplinary research and collaborations to develop novel approaches to governance leadership in the frontier renewable energy technology of artificial photosynthesis (making fuels, food and fertilizer from sunlight, water, atmospheric nitrogen and carbon dioxide). 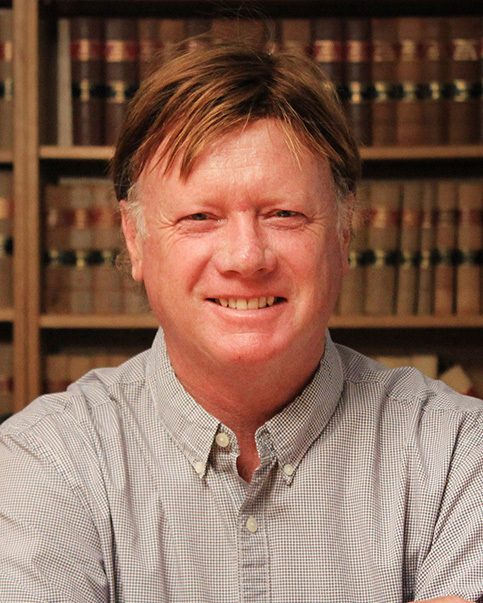 Professor Thomas Faunce is an expert in medical law, public health law and nanotechnology regulation, as well as the impact on those areas of trade and investment agreements; areas where he has been awarded five Australian Research Council (ARC) Discovery grants and a Future Fellowship. He has published 5 books, over 50 book chapters and over 200 refereed articles in those areas. Thomas was awarded an ARC Future Fellowship to investigate how nanotechnology could help solve the great public health and environmental problems of our time. This has led him to research governance issues surrounding the globalisation of artificial photosynthesis to make every road, house and vehicle on the earth’s surface make renewable fuel and fertilizer. This is achieved by using sunlight to split water into hydrogen and oxygen while absorbing atmospheric nitrogen and carbon dioxide. His research here is focused on developing a Global Project on Artificial Photosynthesis to help promote environmental sustainability. Thomas has coordinated major international conferences on these themes. Professor Faunce holds a joint position in the ANU College of Law and the ANU Medical School (where he chairs the Professionalism and Leadership Theme). He sits on the ANU central Research Ethics Committee and on the ACT Civil and Administrative Appeals Tribunal for health professional matters. Faunce TA Nanotechnology for a Sustainable World: Global Artificial Photosynthesis as Nanotechnology’s Moral Culmination Edward Elgar, 2012. Faunce TA and Donohoo G “Health and Medical Research” in White B, McDonald F and Willmott L. Health Law in Australia. Lawbook Co. Sydney. 2nd ed 2014. 771-799. Faunce TA and Vines T “Biotechnology and Nanotechnology Regulation in Australia” in White B, McDonald F and Willmott L. Health Law in Australia. Lawbook Co. Sydney. 2nd ed 2014. 835-865. Vines T and Faunce TA. Cancer Voices Australia v Myriad Genetics Inc  FCA 65: Should gene patent monopolies trump public health? Journal of Law and medicine 2013; 20(4): 747-758. Nick A Buckley and Thomas A Faunce. Trials and tribulations in the removal of dextropropoxyphene from the Australian Register of Therapeutic Goods. Med J Aust 2013; 199 (4): 257-260. Faunce TA Disclosure of Material Risk as Systems Error Tragedy: Wallace v Kam (2013) 87 ALJR 648  HCA 19. JLM 2013; 21(1) 53-65. Hitoshi Nasu and Thomas Faunce, 'Nanotechnology in Japan: A Route to Energy Security After Fukushima?' (2013) 69(5) Bulletin of the Atomic Scientists 68-74. Vines T, Donohoo A, Faunce TA. Government Controls over Health-Related Not-For–Profit Organisations: Agency for International Development v Alliance for Open Society International JLM 21; 2013: 278-293. Vines T and Faunce TA. Hippocratic Obligation to Shareholder profit? Medical Treatment patents and the Australian High Court in Apotex Pty ltd v Sanofi-Aventis Australia Pty Ltd  HCA 50 JLM 2014; 21:797-809. This Project will provide policy makers and the community with previously unavailable detailed information and regulatory options (through scholarly publications, reports to government agencies and a publicly accessible website) concerning the effects of Australia's international trade commitments on access to medicines. It will develop a strategic modelling system and a continuing research group with unique expertise for evaluating the health impacts of future trade negotiations by Australia and other nations. The Project particularly benefits aged and poor Australians who are more reliant on medicines for health and for whom such costs represent a significant component of domestic expenditure. This Project will provide policy makers with previously unavailable detailed information and well developed, innovative regulatory options, on how best to ensure safe and cost‑effective use of one of the fastest growing areas of Australian research and development: medical nanotechnology. The Project will benefit Australian healthcare workers and patients who will increasingly be exposed to, and concerned about, the risks of medical nanotechnology. It will help to facilitate export and institutional uptake of Australian medical nanotechnology products, by ensuring they comply with world's best practise safety standards and offer value for public expenditure. Approved Title: Detecting Fraud and Anti-Competitive Behaviour in the Australian Pharmaceutical and Medical Device Industries. Project Summary: This Project will deliver law reform proposals to ensure greater accountability and a reduction of fraud and anti-competitive behaviour associated with over 6 billion dollars of public money expended each year under the Pharmaceutical Benefits Scheme (PBS) as well as significant amounts paid by public hospitals on medical devices. It unites experts in Australian pharmaceutical regulation and high technology law enforcement with an eminent United States Partner Investigator in False Claims litigation. Reducing fraud and anti-competitive behaviour could be critical to survivability of the PBS and the benefits it brings particularly to an ageing population. ARC Future Fellowship: TA Faunce 'Fostering Safe Nanotechnology Research Focused on Critical Public Health Problems'. Funding: 2010: $148,350 2011: $144, 850 2012: $145,350 2013: $154, 850. This Project builds upon the applicant's unique interdisciplinary research and collaborations to develop an innovative framework for improving occupational health and safety standards of nanotechnology research at the Australian National University and fostering its focus on critical public health problems such as biosecurity, food and water safety, pollution control and equitable access to health technologies. The ARC Future Fellowships scheme supports outstanding mid-career researchers to conduct high quality, innovative research, build Australia's internationally competitive research capacity and develop strong links among researchers, research institutions and other disciplines. The national success rate for applications to this scheme was 20.5%. Project Summary: A critical regulatory gap exists for military applications of nanotechnology under international law. This project will provide a conceptual framework and policy options to develop Australia's legal response to the use of nanotechnology in military and security settings through collaborations with experts in the United States. DP 1401005766. Prof T Faunce A/P A Bruce prof N Lewis (Caletech) Prof D Nocera (Harvard) Prof M Wasielewski (Northwestern) Prof W Lubitz (Max Planck Institute) Prof S Styring (uppsala) Approved Project Title: Advancing energy sustainability by governance leadership in artificial photosynthesis (making fuels from sunlight, water and carbon dioxide). This Project builds upon unique Australian interdisciplinary research and collaborations to develop novel approaches to governance leadership in the frontier renewable energy technology of artificial photosynthesis (making fuels from sunlight, water and carbon dioxide). It links established and emerging Australian scholars with eminent international experts to construct a framework for innovative law and public policy reform proposals that overcome impediments to rapid commercial deployment of this combined energy security and climate change solution. First international conference ‘Towarsd Global Artificial photosynthesis’ at Lord Howe Island 14-18 August 2011 (http://law.anu.edu.au/coast/tgap/conf.htm) . Also supported the UNESCO Natural Sciences Sector and an official event under the international Year of Chemistry 2011..
Conference ‘Do We Need a Global Artificial Photosynthesis Project?’ A meeting involving leaders of the national artificial photosynthesis projects to be held at the rural retreat of the UK Royal Society at Chicheley Hall in July 2014 (http://royalsociety.org/events/2014/artificial-photosynthesis-global-project/). Joseph Lee (Supervisor) "China and State Owned Enterprises in Australian Critical Infrastructure"
Tim Vines (Panel) "Public Health Law and Quarantine"
Ruth Townsend (Panel and Supervisor) "Should Paramedics Be Regulated as a Profession?" Caroline Colton (Panel) "Contestability Theory and Global Governance"
Some basic principles: See your time in this world as a journey towards personal truth. Be flat out committed to excellence as a way of knowing what you're naturally gifted at, but also to maximise the chances of your work benefitting others. By reading biographies you can learn without so many painful personal experiences. Books can be your good friends. I recommend reading Brian Greene's 'Fabric of the Cosmos' especially on string theory and the mulitiverse. Also Basho's 'Narrow Road to the Deep North,' as well as Hay's translation of Marcus Aurelius's Meditations. The particle-wave duality of quantum physics replicates as thinking egotistically and altruistically respectfully. Individuals and societies become virtuous through consistent application of universally applicable principles (read Immanuel Kant's Introduction to the Groundwork of Metaphysics and Introduction to the Doctrine of Virtue). In our transition to the sustainocene, the widening of human sympathy will involve environmental sustainability becoming a foundational social virtue alongside justice, equity and respect for human dignity. The establishment of virtue and expression of conscience are linked in a process that culminates in realising through meditation that at some fundamental level you and what appears through sensory experience to exist externally to you, are one, Science and morality are based on the fact that true statements about reality don't have to correlate with sensory experience. That the Cosmos is seeking to conspire with you to do something that fulfils your natural capacities and helps the world is a hypothesis you can test. The big question about your career then becomes 'what am I meant to do'- a much deeper question than 'what can I do?' or "what do I want to do?' I would always lean to studying what you love, not what is expected or likely to be lucrative. UNESCO Global Health Law and Bioethics Database Mtg Nairobi Kenya March 2009. Health and the Law. Hot Topics-Legal Issues in Plain Language.No64 State Library of NSW 2008. Consultancy with UNESCO. Global Ethics and Law Database. Australian Contribution 2006-2007. Faunce TA written submission to Senate Inquiry on PBS legislation 2010. Faunce TA written submission to House of Representatives Standing Committee on Legal and Constitutional Affairs. SubInquiry into whistleblowing protections within the Australian Government public sector. September 2008. Faunce TA Written and oral submission to National Health Act (Pharmaceutical Benefits Scheme) Bill 2007 June 2007 Australian Senate Community Affairs Committee. Faunce TA Johnston K Submission to Cth and NZ Inquiry into Trans-Tasman Therapeutic Products Agency May 2006. Submission on Advisability of Senate Inquiry into Health Impacts of Sandblasting in Australia January 2005. TA Faunce, D Henry, P Drahos, M Goddard “The FTA and the PBS. A Submission to the Senate Select Committee on the US-Australia Free Trade Agreement May 2004. Senate Select Committee of the US-Australia Free Trade Agreement, Round table by Invitation on the PBS 21 June 2004. Australian Senate. Labor Caucus Presentation on Effect of US-Australia Free Trade Agreement on the PBS 22 June 2004. Assistance to Dr Gerard McLaren in presentations to Grand Rounds at The Canberra Hospital, the ACT Medical Board and Ombudsman’s Office Involving Whistleblowing allegations concerning neurosurgical services at the Canberra Hospital. Consultancy with ACT Department of Justice and Community Services concerning advance directives and powers of Attorney September 23 2003 and submission to Inquiry May 2004. Consultancy with Rural Medical Practitioners in Young and Bega for ANUMS-August 2002. Member of Drafting Committee for ACT Health Care Bill of Rights June 2002. Advice to Federal Parliamentary Committee investigating Legislation on Stem Cell Research May 2002.